An electric meter measures the amount of electricity used in kilowatts. Based on the kilowatts used in a specific time frame, an electrical supply company bills the homeowner for electric use. 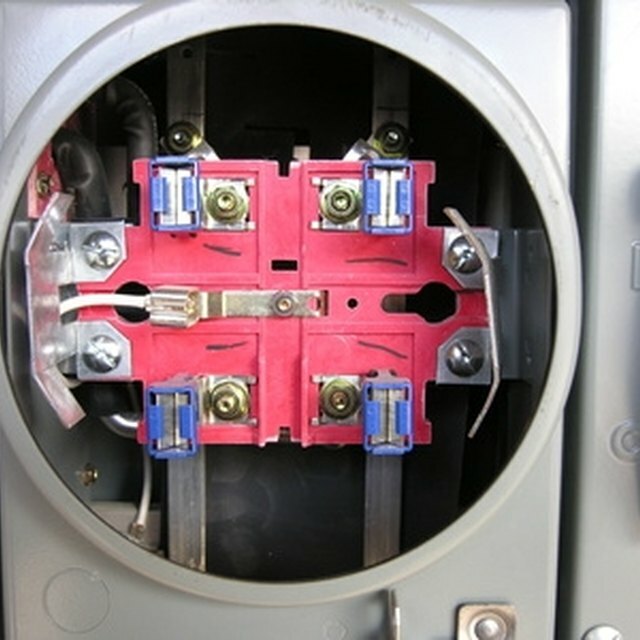 New home construction requires installing an electric meter outside the home, connected to the cables that run to the street pole. Some jurisdictions may require upgrading or installing a new meter for reasons such as energy conservation. A meter reader collects kilowatt usage information from an electrical meter. Refer to the local jurisdiction’s electrical codes and contact the local electrical supplier for the area about installing an electric meter. Electric meter requirements and suppliers vary by local or state jurisdictions. If the jurisdiction you live in requires using a specific electrical supplier, the supplier will install the meter and electrical lines at no cost. In many jurisdictions, the electrical supplier for the area is required to maintain equipment from the street pole to the outside of the home. Many electrical suppliers offer energy-efficient meters to save money and conserve energy. If you’re required to replace the meter from the street to the house, costs can vary based on location and installation equipment required. Installing the meter base generally costs between $250 to $500 at the time of publication. Installing the main entrance cable, which connects from the street to the meter, generally costs between $500 and $750. Select a well-qualified service company or technician for the installation. Electrical suppliers and local jurisdictions often have a preferred-vendor list to perform all related services if the electric supplier doesn’t perform the residential services. Cable and meter installation is done by a lineman, who has different skills than a household electrician. Linemen generally perform work on the outside of the house to the street, while electricians perform work on the inside of the house. Installing an electric meter from the street to the house may require additional installation or upgrades of other equipment to meet the requirements of local electrical codes. Many townships require obtaining permissions by filling out paperwork and paying a fee. After all the required installation is completed, the township may require a licensed inspector to inspect and approve the installation, which also costs a fee at the homeowner’s expense. Consider additional fees and jurisdictional codes in addition to the cost of the electric meter. What Is a Meter Base?